How do you like your salad? Most of us like to complicate or rather are scared to experiment with salads. Some people find it ‘Boring’ or some find it too ‘Healthy’. It all depends on what you WANT from your salad. Salad making may sound very simple but it’s not. It is an art. An art of blending ingredients and flavours. Even a slight change or an off balance can make the salad taste too leafy, raw or there is something missing. A perfect salad should have a balance of sweetness & sourness. Some salads do ask for some spice but it’s a personal choice again. Wash your salad leaves thoroughly and pat dry them. Shake the excess water in a salad spinner. If you don’t have a salad spinner, you can try this at home. Use only one or two fruits and not more than that, unless you are making a fruit salad. All salads require some texture or crunchiness. 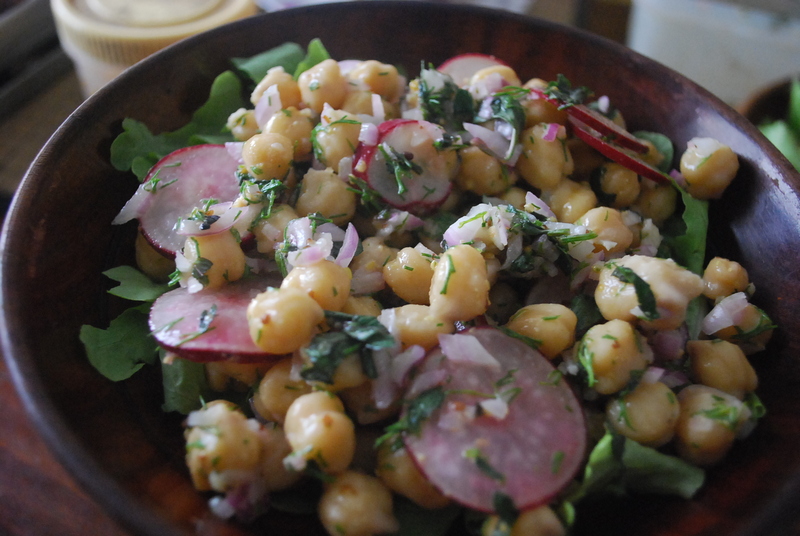 Either use nuts or some red radish depending on your salad. You can garnish your salad with some cheese or bacon bits to give it some texture. Pre mix your dressing at least an hour before you serve. Always mix your dressing, just before serving your salad. In some cases, where the leafy veggies are negated, you can mix the dressing serve on a bed of salad leaves (demonstrated below). Keep some extra dressing on the table just in case any one would like use some more. These are some of the basics things that I follow and it works really well. Mix all the ingredients for the dressing in a salad bowl. Pour the chickpea and mix well. Refrigerate for an hour for flavours to blend well. Just before serving arrange the plates or serving bowl with some salad leaves and pour in the dressed chickpea mixture. Serves two. 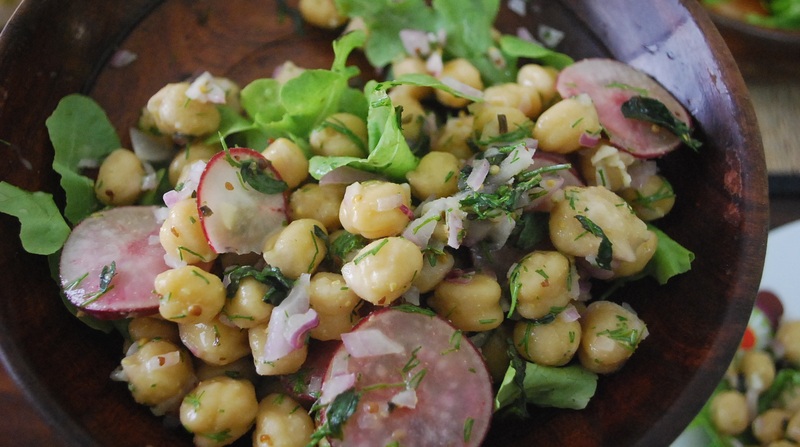 Categories: Healthy Recipes | Tags: chickpea, i2cook, i2cook mustard, lime dressing, salad, salad spinner | Permalink. i2cook Organic Foods LLP is a company formed in 2014 at Bangalore to create and promote organic food products that are both healthy and tasty! How can I contribute to your blog?